Easter is a special time of year. To me it’s all about hope for a better future. 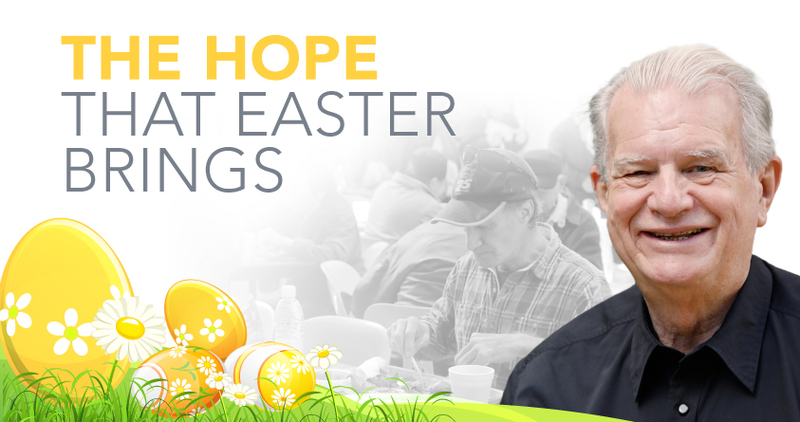 I share that hope with all the homeless and needy guests who come to my Exodus Foundation. It is also a holy time of year and I think the work that my team and I do among the homeless makes it especially meaningful. I often wonder where Jesus would be at Easter, in a splendid church or helping the poor? We’re giving help and hope to the poor and homeless. I’d like to think it shows what Easter is all about, and it all happens thanks to you! Many thanks for your kind words, Happy Easter!